Carol Knickman took an off-site WoodenBoat class in the fall of 2012. 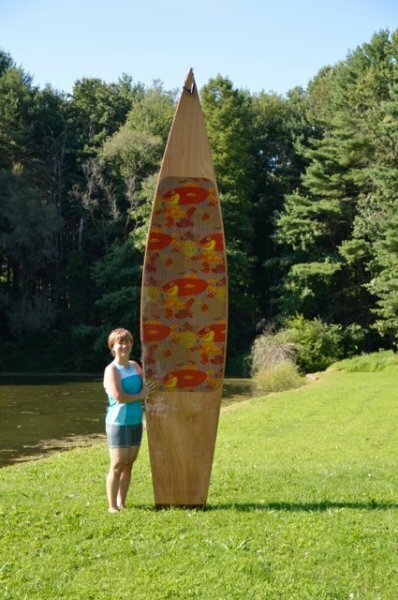 Geoff Kerr led the class in the construction of the Kaholo stand-up paddleboard at Chesapeake Light Craft. (See WoodenBoat Nos. 229 and 230). In August, Carol launched her Kaholo on her pond in Jarrettsville, Maryland. Though she had never worked a day in a woodshop she reports that Geoff Kerr led the class every step of the way. With her new knowledge of boatbuilding, she now understands what her husband is doing as he builds his Somes Sound 12½ designed by John Brooks. 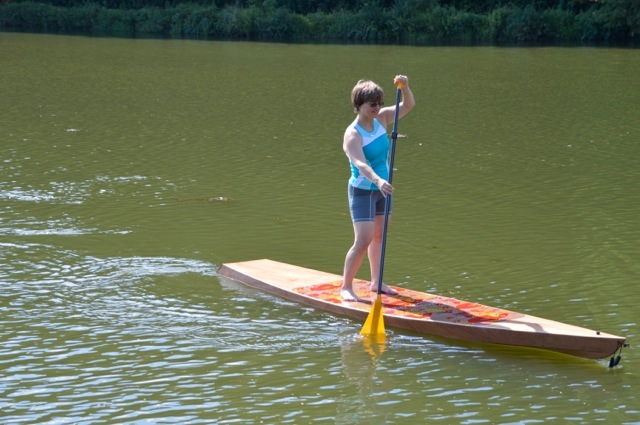 Carol loves her new paddleboard and says it’s stable and tracks well.